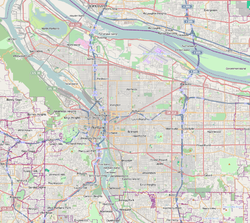 East Columbia is a neighborhood in North and Northeast Portland, Oregon, consisting of a main area west and north of the Sunderland neighborhood, and a smaller disconnected exclave on the Columbia River south of Hayden Island and east of Bridgeton. The neighborhood includes the Columbia Children's Arboretum (1999) and the Columbia Edgewater Golf Club. This page was last edited on 7 August 2018, at 02:45 (UTC).